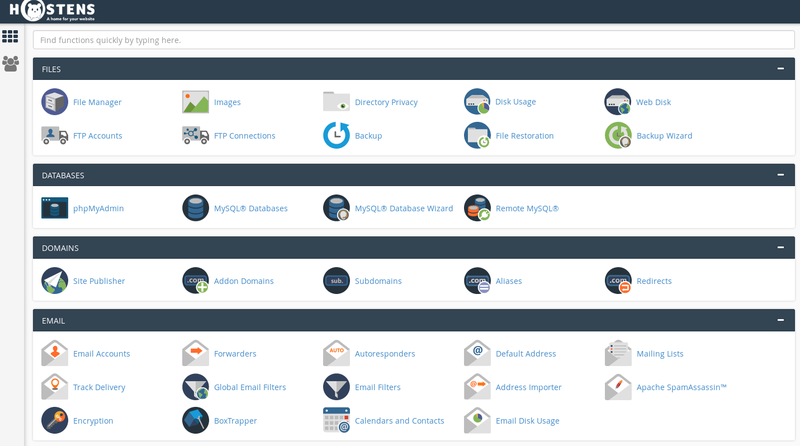 How to connect to cPanel with SSH? You will have to choose “SSH Access” from the “Security” tab. Then press “Manage SSH Keys“. 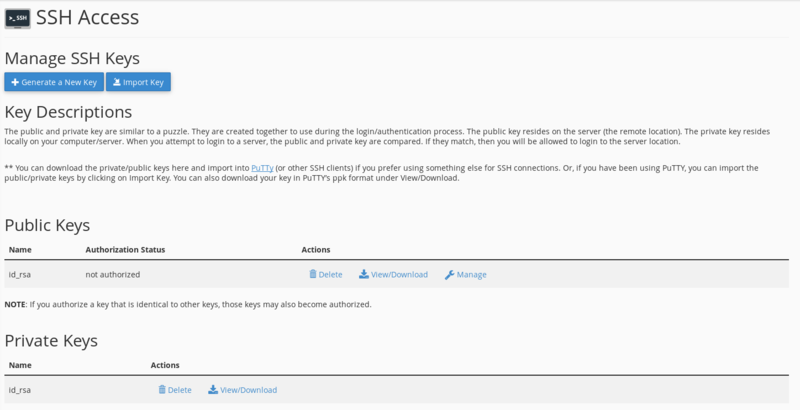 If you have your own key, you can simply import it, by pressing the button “Import Key” and from that moment you can connect to the server using SSH Key. If you do not have your own key yet, you can generate it using cPanel, press “Generate a New Key“. Fill the basic form, which actually contains your Key Name, Password. Our recommendation is not to change other settings. Chose the Key you create and press the “Manange” button for that specific key. The next step will show you the converted key and an option to download it.